You might want to score and stud the ham's surface with whole cloves before cooking for a traditional finish. A slow cooker is a lifesaver not only for busy weeknight meals, but for special holiday gatherings as well. When your oven is full of other dishes, it's good to know that you can tuck the star of the menu -- the Christmas ham -- in the slow cooker. The lid of the cooker forms a tight seal so moisture condenses and drips back on the ham, creating moist, delicious results. It's essential for the lid to fit securely for the slow cooker to work properly. If your ham weighs 5 to 7 pounds, you'll want to use a large, 6- to 7-quart slow cooker. Cook larger hams in the oven. Remove the wrappings from the ham and pat it dry with a paper towel. Remove the plastic disc found on a spiral ham. Coat your ham with seasonings according to taste. You can use the glaze packet that comes with the ham to make a paste, or make your own by mixing sweet and savory condiments, such as orange juice, apple juice, or ginger ale with dry mustard, orange zest and brown sugar. Place the ham in the slow cooker. Add liquid to the cooker such as juice or ginger ale. Cover. Cook a 5- to 6-pound precooked ham on low for about 5 to 7 hours, or until an internal thermometer reads 140 degrees Fahrenheit. Most hams are already cooked and only need reheating. If the ham isn't precooked, you will need to cook it for about 8 hours -- and until the internal thermometer reads 145 degrees F.
Remove the ham from the slow cooker and place it on a serving platter. Allow it to rest for about 5 minutes before slicing it. Spiral hams are already sliced and ready to serve. Strain the liquid left in the slow cooker into a saucepan to make an optional sauce. Next, mix cornstarch with water to make a slurry. Over medium heat, add the slurry to the hot liquid from the slow cooker, stirring gently. It should only take about a minute to thicken. Serve the thickened sauce over the ham. Freezing alters the texture and taste of a ham and isn't a good idea. If the ham is frozen, though, defrost it overnight in the refrigerator before cooking it in the slow cooker. 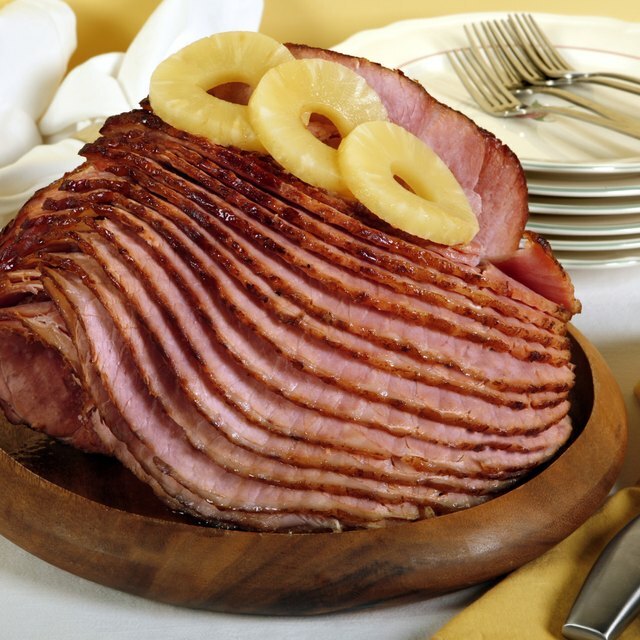 Buy the right type of ham for the slow cooker ham recipe you are using. 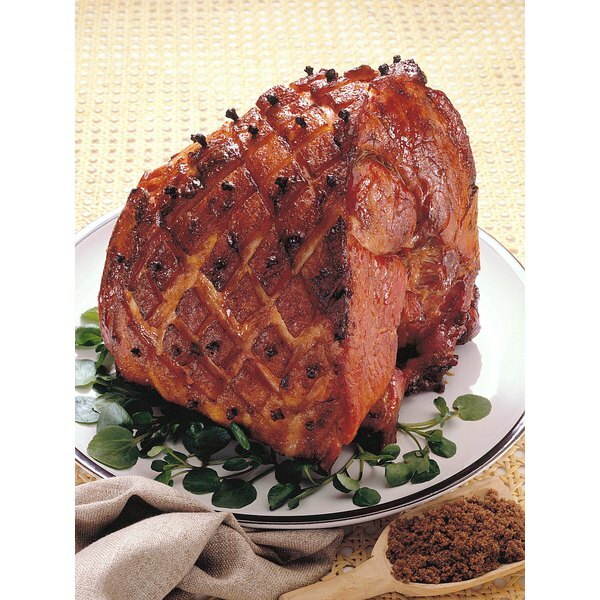 There are several types of ham including precooked and uncooked, smoked, dry cured and brine cured, shoulder, butts and shanks and spiral cut. When buying ham, look for one with firm, pink flesh. Bone-in hams tend to have more flavor than boneless ones. Look for hams labeled as "ham in natural juices," or "water added." Not Your Mother's Slow Cooker; Beth Hensperger, et al.